This master’s degree is for heads of Montessori schools who want to improve their leadership and managerial skills as they run their Montessori schools or prepare for an administrative position in a Montessori school. The foundation of the program are the educational leadership standards adopted by the National Policy Board for Educational Administration, as noted below, and most state educational organizations. The emphasis is on visionary leadership. The program emphasizes practical preparation for effective leadership of a Montessori school. This is accomplished, in part, through the examination and understanding of the Montessori philosophy, its approach to curriculum and classroom instruction as well as classroom management concerns. The Montessori courses are written for leadership and represent a specialization in Montessori education. These standards are embedded throughout the coursework and internship. The program is designed to prepare prekindergarten through 12th-grade teachers for administrative positions in public, private, charter, and nonpublic schools and school systems. However, the program does not lead to state licensure as a school assistant principal, principal, or other building or district administrator. The educational goals and objectives of Sarasota University’s leadership programs are the Educational Leadership Policy Standards: ISLLC 2008, as adopted by the National Policy Board for Educational Administration (NPBEA) on December 12, 2007. This specialization provides educators with leadership skills through practical application and provides broad knowledge of social, political, and economic forces at work in society that affect education. Course content is research-based and infuses contemporary practices in education. The Montessori Leadership coursework provides a solid foundation for leading Montessori schools. Course content draws on the science of leadership (e.g., Marzano, Wheatley), melded with Strengths Theory, and Positive Psychology. The emphasis of coursework is on developing the strengths of students and teachers. 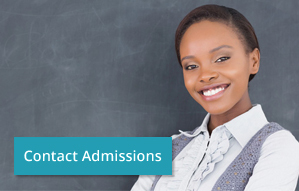 Specific courses deal with welcoming all students and assuring that they all receive an effective and enduring education. At a minimum, students must have regular access to a computer with Internet connection (preferably broadband) and a web browser. Students are expected to be knowledgeable in basic computer skills. Personal competence in word processing and using email programs is required. Mac Users, please note: Coursework should be accessible via Mac software. Support is available for Mac users. Subscription to an Internet Service Provider (ISP) is required (broadband access is highly recommended). Broadband access can be cable modem, digital subscriber line (DSL), T1 Connection, or LAN connection or its equivalent. Students are responsible for clearing any firewall and/or security issues if access to the SU Portal is attempted through a workplace network. Make sure you have the best online experience by upgrading your browser to the latest versions of Internet Explorer and/or Firefox. Sarasota University has established partnerships with MACTE-accredited Montessori Teacher Education Programs and allows students, who have not already earned their MACTE certification, to choose a program that will best fit their particular needs and wants. For more information about this partnership and how credits may be applied, please contact Sarasota University Admission at 866.582.8448 ext “0” or Montessori Live at 941.484.4991. If you would like to learn more about Montessori Livetm , click here. 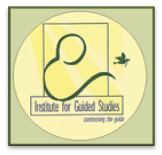 IGS is licensed by the Georgia Nonpublic Post-Secondary Commission and the South Carolina Commission on Higher Education. Using the framework of strength-based leadership, students will learn how to apply leadership theory in a way which promotes a culture of commitment, rather than simply compliance. Based upon a background of positive psychology strength-based leadership recognizes the strengths of all employees as a focus, rather than the remediation of weaknesses as a way of doing business. Florida Leadership Standards will be addressed via a crosswalk of the strength-based approach to traditional leadership practice. In this foundation course, positive psychology (Seligman), strengths psychology (Clifton), and invitational theory (Purkey) are studied as a practical way to accomplish Florida’s leadership standards (Golden). Students learn that great organizations understand that each employee is different and, by emphasizing capabilities rather than deficits, capitalize on those differences. Using the science of strengths-based leadership, students study their own strengths and how to build their educational community around the strengths of each employee to move their schools to greater academic achievement. The invitational theory model shifts from emphasizing control and dominance to one that focuses on connectedness, cooperation, and communication. based leadership as a catalyst of productivity, innovation, and increased energy. Students will investigate the impact of school law on the rights of students and educators as guaranteed by the United States Constitution and will include federal and state statutes and regulations (state and federal statutory and regulatory provisions) as well as tort and contract liability as they influence public education. Students will explore federal and state regulations that present specific processes and procedures to be implemented by school administrators in working with parents, students, and educators. Identify, analyze and provide examples of the four primary sources of law. Differentiate between substantive and procedural due process as they relate to student discipline. Analyze appropriate school governance roles at the federal, state, and local levels. Compare and contrast the legal requirements of ESEA, FERPA, FAPE, IEP, IDEA, and Race to the Top. Construct appropriate responses to Establishment Clause and Free Exercise Clause issues. Analyze issues related to school liability based on knowledge of state and federal law. Define the role of due process in personnel management and explain effective documentation and remediation procedures. Summarize concepts and create examples relating to student and teacher rights to free speech and privacy. Using acquired knowledge of historical and current school finance concepts and applicable state funding procedures for computation, accounting, auditing, and reporting, students will analyze the planning, development, implementation, and evaluation of a school budget. This course also provides an overview of the charter school movement. Outline and describe the basics of the school budgeting process. Define vocabulary used in state operating accounting code structure. Compare and contrast how weighted school funding does and does not influence equity. Discover and describe the specific funding that your school receives from the state. Explain examples of how the budget and school funding impacts student achievement. Describe the importance of school culture, transparency with stakeholders, and resource allocation. Research and describe the school funding model for your state. Interview and report the findings from interviewing a school principal about the funding, revenue, and expenses at their school. Describe factors and events that have shaped the relationship between the federal government and education institutions. Compare and contrast the challenges of schools seeking funds from the federal government and accountability expectations. Identify the key cost factors of financing an early childhood learning environment. Analyze and describe the ways that the physical environment impacts programmatic quality and explain how quality facilities get planned and financed. Review and create a basic financial checklist for principals. Categorize financial tasks into groups by yearly, quarterly, monthly, and weekly tasks and describe the roles and responsibilities of the bookkeeper. Compare and contrast reality–based learning and project–based learning. Read and interpret financial reports and recognize the typical categories and criteria for financial reports for school campuses. Reflect on and describe the key–learnings pertaining to financial administration, that you gained in this course. Consider your strengths and describe the level of involvement that you would have in school finances, based on your talents. 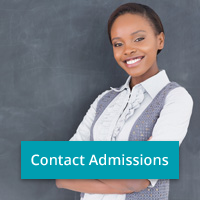 This course prepares prospective school administrators in the personnel components of the profession. From analysis of positions to recruitment, selection, induction, retention to termination, current and past court cases are used to understand the historical and legal responsibilities of administrators in today’s educational personnel climate. Readings, case studies, presentations, papers, field experience and group activities are the tools used to cover these topics. Compare and contrast the benefits of investing in human capital. Identify and describe the four key actions for a human resource management team. Analyze and describe if all employees have leadership opportunities within your organization. Describe and outline the protected classes in your state and if you think it is fair. Suggest how you would attract the best teachers for your campus if you were the principal. Describe and analyze how your school/organization plans and forecasts for personnel needs. Identify and describe the recruitment process of attracting applicants for the positions needed at your campus/organization. Analyze if employment ads are the best way for your school to attract top talent? Describe if there are formal job description templates for various positions or if the job descriptions are casual. Describe the plan for retaining top talent in your organization. Locate, research, and analyze the performance management and appraisal criteria, system, forms, etc. that your school or organization uses. Synthesize and summarize the system, criteria, measurement/rating system and processes used at your organization. Summarize and describe on–boarding, required training, needs analysis for professional development, growth plans, and exit plans for your organization. Summarize and describe how your organization structures compensation design and management. Differentiate between intrinsic and extrinsic benefits and motivators. Analyze the effectiveness of the benefits and incentive package at your organization. Suggest possible improvements. Analyze safety and compliance laws and how to implement, enforce, and monitor on a school campus. Outline the procedures and escalation paths for when policies and protocols are violated. Identify key learnings from this course and how the knowledge will assist you as a future administrator. Effective educational leaders need to be able to work with and through others. Through the activities in this course, the student will develop and apply various leadership, visionary, interpersonal, and supervisory skills. The development of these skills will enhance the students’ ability to problem solve and communicate information to diverse types of stakeholders as consumers of the latest research on a topic. Through practice, students will become familiar with the various online research sites that specialize in leadership and educational research. Analyze and describe the Five Practices of Exemplary Leadership, as defined by Kouzes & Posner, 2012). Explain examples of the differences between a manager and a leader and specific qualities they display. Analyze and describe the roles of effective leaders in the 21st century education system. List ways that visionary leaders can empower team members to solve problems and successfully contribute to becoming leaders within their own organizations. Compare and contrast the roles of the 20th and 21st century job market and leaders. Compare and contrast effective and non–effective methods to inspire teams. Analyze the common mistakes that leaders make and provide suggestions of how to avoid those pitfalls. Compare and contrast the benefits of empowering everyone in organization to act like a leader. Describe effective ways to conduct team–building exercises and outline how to secure the necessary resources. Outline specific strategies that you will implement in order to keep your proficiencies current (pedagogy, curriculum, technology etc. ), and avoid simply becoming a leader and losing skills and current best practices awareness. Identify the benefits of developing and sharing a clear vision for the staff and educators. Analyze the benefits of empowering the staff and educators and outline at least three ways to celebrate successes. Compare and contrast effective and less–effective ways to gain “buy–in” from the staff on difficult issues or policies that are mandated. Analyze and describe why motivation to perform a task increases when educators have challenging goals and receive regular feedback. Compare and contrast effective motivational strategies and techniques that leaders can implement. Compare and contrast strategy and structure and list specific elements of each. Define culture and outline how to promote, implement, and maintain a positive working culture in your organization. Describe Daniel Pink’s philosophy of how everyone is a sales person. Compare and contrast how to effectively motivate the staff in a school. Outline how to turn ideas into actions within an organization. Students will study the research on culturally-responsive education as a means to improve the achievement of all students in the context of Montessori education. They will create standards for teacher selection and evaluation and use those standards to create screening devices that could be used in teacher selection. The theory of “Multiple Intelligences” will be studied for insight into teaching from strengths. Current researched curriculum approaches such as Response to Intervention” will be studied as a way to meet the various instructional needs found in the typical classroom. This course presents an administrator’s overview of the Montessori curriculum from early childhood through adolescence. Specifically, students will explore the Montessori philosophy of educating children from toddler to teenager, as well as age-appropriate teaching techniques and learner explorations. They will study specific content areas, alternative assessments, work plans, and the effective management of Montessori education programs, including observing and assessing educator effectiveness. Describe why a career as a Montessori school administrator is a career path that aligns with your strengths. Explain how you will add value to the Montessori industry and remain active int the Montessori community. Describe how your top strengths align to a this career path. Demonstrate an understanding of the appropriate scope and sequence of Montessori works. Explain what Dr. Montessori meant by norming the environment. Describe the effectiveness of work plans and how they are alternative assessment tools. Describe the basic principles and concepts of leadership in a Montessori environment. Compare and contrast an administrative role in a traditional school vs. a Montessori school. Explain how you will encourage and educate parents to integrate Montessori concepts into the home environment. Outline the most common Montessori curriculum brands. Develop a plan for the Montessori curriculum that you would purchase for your campus, the budget needed, and the rationale for the decision. Identify parent education night topics and align the topics and goals of the workshops. Outline a strategy to communicate with parents about the Montessori philosophy and curriculum. Explain the purpose of precision and exactness and why it is so important to develop. Explain the role of the administrator in preserving fine arts and peace education in the curriculum. Research and share the background of Dr. Montessori’s belief on the role of fine arts and peace education in the learning environment. Describe and defend your position on the role of music, art, and peace education in a Montessori learning environment. Describe the fundamental importance of caring for nature in the Montessori environment. Explain how movement and motion are essential to a Montessori classroom. Compare and contrast movement in a traditional school vs. a Montessori school. Explain the brain development connection between problem solving, analytic thinking, strategy and playing chess. This course is designed for administrators and instructional leaders who are not working directly in a class setting. This course focuses on school leadership, understanding the Montessori scope and sequence, empowering staff, exceptional student education, record keeping, and a further overview of Montessori philosophy. Assignments include observations of various models of Montessori schools, interviews with school leaders, designing a plan to balance both personal and professional obligations/responsibilities, and a reflection on the practice of leadership.